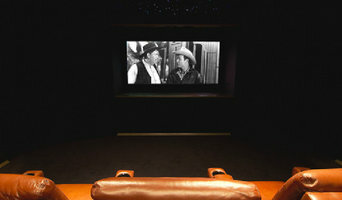 Look & Listen is the Gulf Coast's premier Home Theater & Automation custom installation dealer. With over 30 years of experience designing and installing systems, we have the experience and expertise to design a system that is perfect for your home and your lifestyle. Alarm system company in Mobile. Complete Custom Electronic Design, Installation & Service for Residential & Commercial Applications. Audio Indulgence is a Home Logic, LLC company serving the Mobile and Baldwin County, Alabama area since 2000. We are a full service custom audio and video integrator. From the largest automated home or theater project to simply adding an extra cable or phone outlet, Audio Indulgence has you covered. Home Theater Experience is a custom electronics design, installation and integration company serving Central and Southern Alabama and the Florida Panhandle. The company was founded by Jerod Ryals, a native of Baldwin County, in 2003. After attending Auburn University's engineering program, Jerod worked for a prominent speaker manufacturer designing speakers and enclosures, as well as traveling the country training dealers. He has also worked with some of the leading custom home electronics companies designing and installing home theater systems. With his extensive experience in the industry, Jerod and his team can help you build your ultimate Home Theater Experience. Island Technologies is Baldwin County's premier IT and Audio Video Service Provider. Whether you need high-caliber business solutions or a jaw dropping home audio system, we have skilled and trained professionals to assist you. Family-owned and operated, we are very experienced in providing the best products and services at the best rates on the Alabama Gulf Coast. Find a home media designer on Houzz. Narrow your search in the Professionals section of the website to Saraland, AL home media designers. You can also look through Saraland, AL photos by style to find a room you like, then contact the professional who designed it.